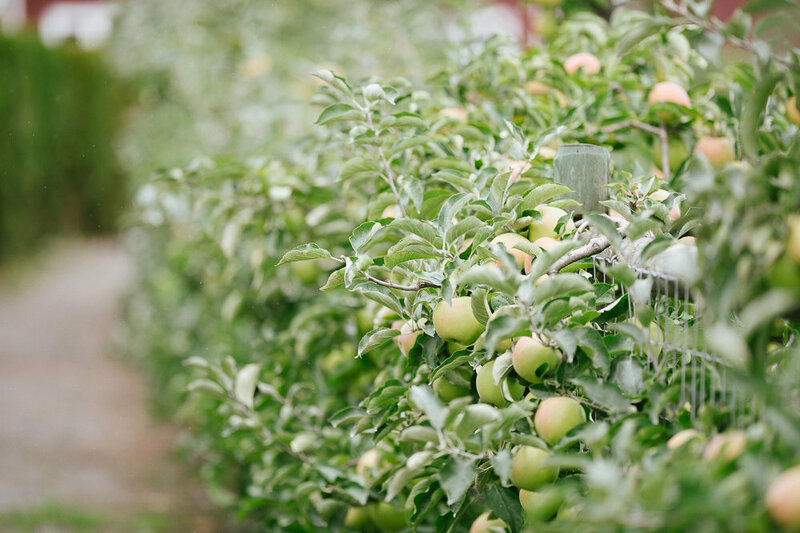 If you ever want a gorgeous fall wedding, look no further than Swans Trail Farms. 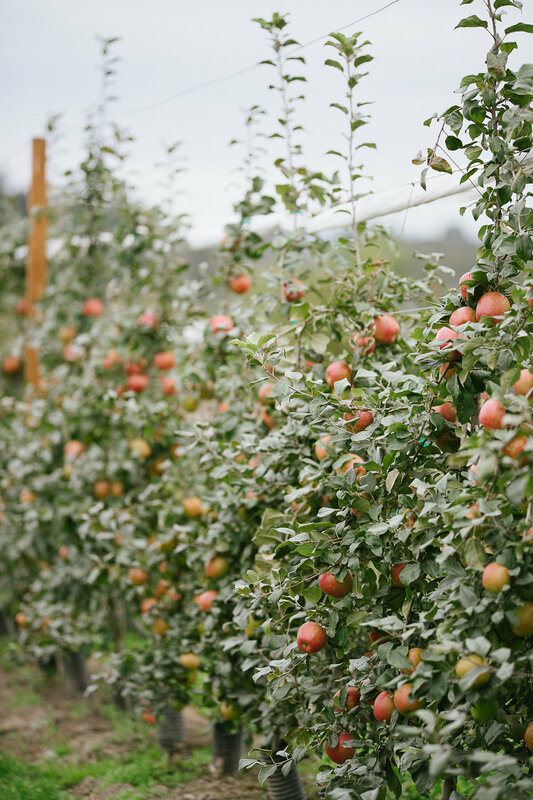 I was so impressed with the amazing apple trees and farmland. 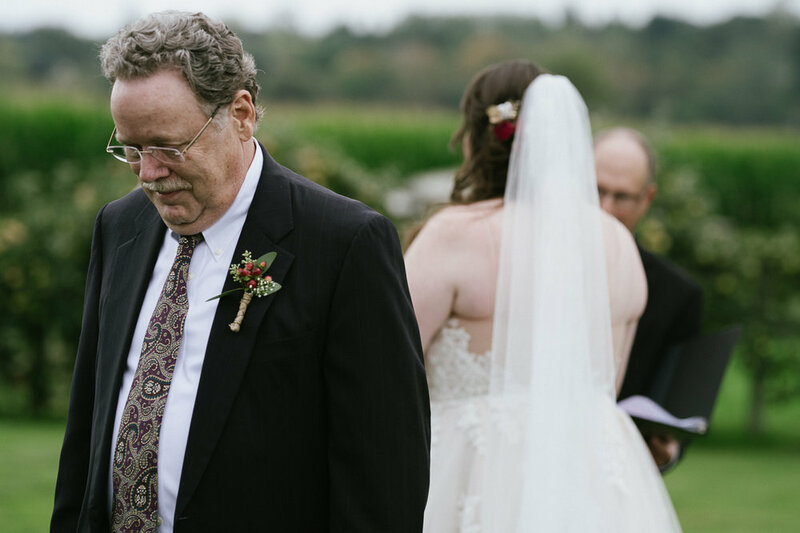 The barn wedding reception couldn't have been more perfect! 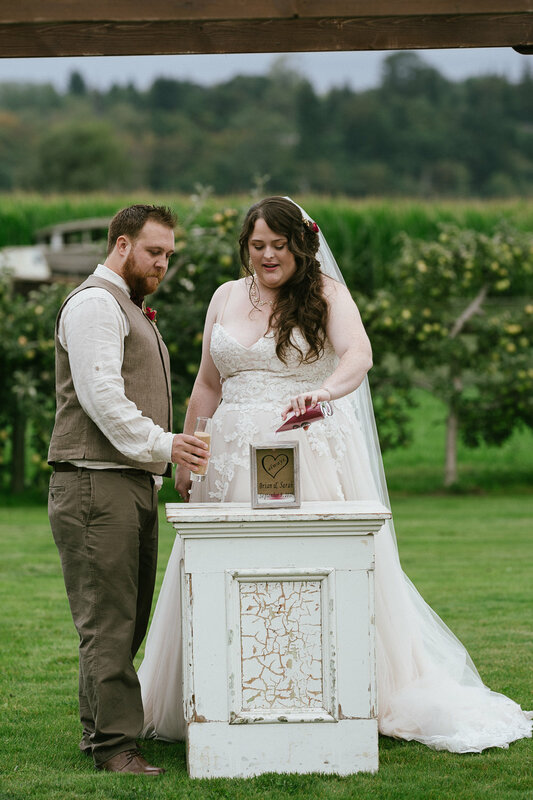 This fall farm wedding video is full of that gorgeous maroon color palette and farm feeling we just can't get enough of. 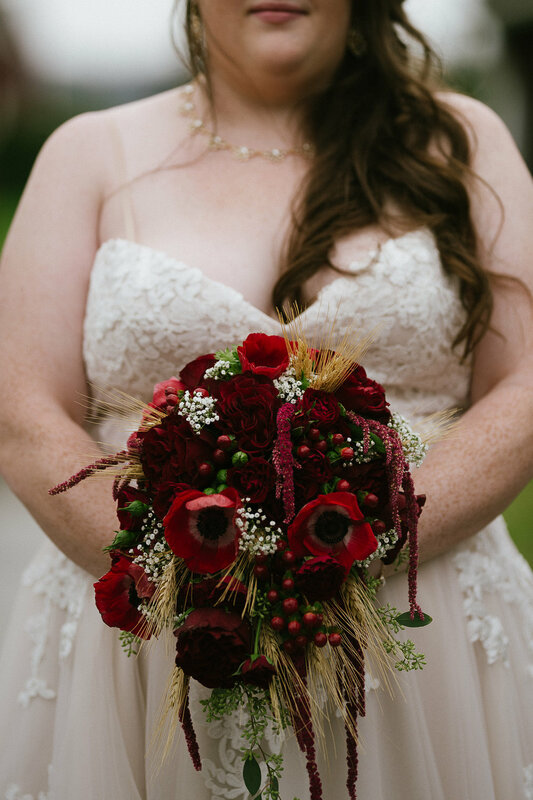 The perfect fall wedding color palette is deep red! I am convinced! 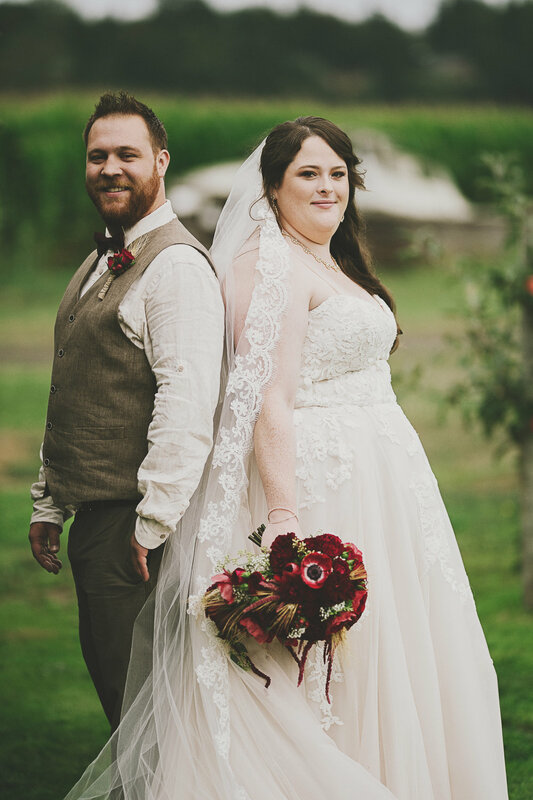 The maroon and white fall bouquet had me head over heels! 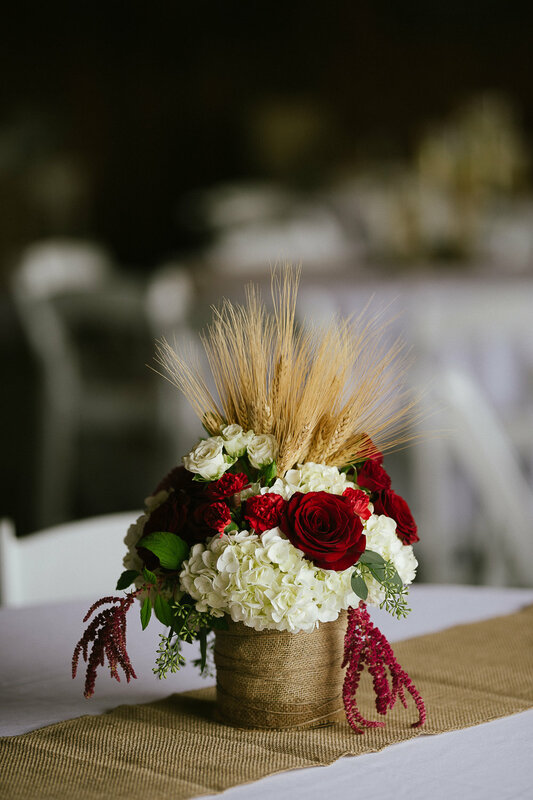 I loved the red roses, red carnations, and red anemone flowers! I'm getting into wedding design + planning (slowly, but surely), and this one was one to remember. Can we talk about this bride and groom? They were the sweetest, most down to earth people I've ever met and so obviously in love. They actually knew each other in high school where Brian gave Sarah a stuffed animal bear for Valentine's Day. Their love started there... and now they're MARRIED! 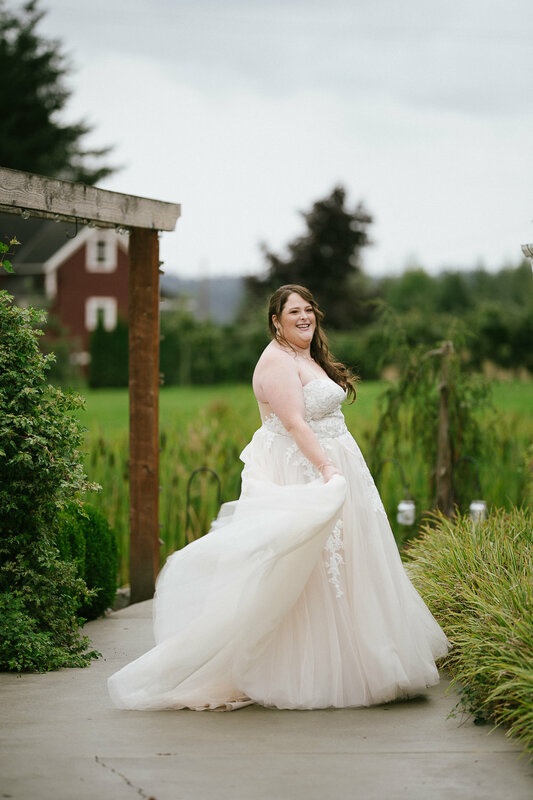 I love having my brides twirl in their dresses! It's true what they say - every lovely lady just wants to feel like a princess! The bride's hair and makeup was done by the ever so talented Emily Pastrana of Beauty by Emily! The wedding coordination from JBK Weddings and Events was seamless and she has the most sparkling personality! She's almost as great as the groom's reaction when he saw his bride for the first time. Almost. It was priceless. These two had a choreographed wedding dance that was the most romantic first dance I've ever seen! They danced to Fire and the Flood and I am now obsessed with that song. Thanks, Sarah + Brian for exposing me to your awesomeness and dang fine music choice!